Not exactly the words penned by the famed Italian poet Giovanni Capurro in 1898 for the classic song “O Sole Mio” but the lyrics definitely inspired me as we left behind the hustle and bustle of the Venice train station. My ever smiling face reflected how truly blessed I was to be able to freely enjoy Italian history, heritage, food and wine in my quest to write these articles for you, but I had another reason to smile that I am sure you will appreciate. You can’t go to Italy and not check out the cathedrals, museums, famous fountains and statues. Everything we saw was fabulous, don’t get me wrong but I was feeling the need for wide open spaces, preferably with a club in my hand, and I knew I was less than a couple of hours away from hitting the links! Our unchartered journey began with a 65 kmdrive northwest of Venice to the foothills of the Grappa Mountains. Our destination was the Asolo Golf Club & Resort where we would enjoy a quiet 2-night stay in one of their eleven elegantly-appointed guest units, overlooking the golf course and the magnificent Valboddiandene vineyards. So now you understand why I couldn’t stop smiling! In Venice you’ll find golf, as well as gondolas. The graceful Asolan hills provided the perfect backdrop for this championship 27-hole course and although the layout here is relatively flat in comparison to the Tuscan golf courses I had played earlier on this trip, it proved to be every bit as challenging. It was late September and there was a hint of crispness in the air. With the abundance of deciduous trees lining each hole, I could only imagine how glorious the scenery would be in a few short weeks when leaves begin to turn. In the mornings, from the clubhouse terrace while enjoying an excellent cup of Americano coffee, I watched the mist disperse before heading out. Luca Covi, the Director General told me that Asolo has a year round “cart paths only” rule because of the high elevation that almost assures damp conditions. 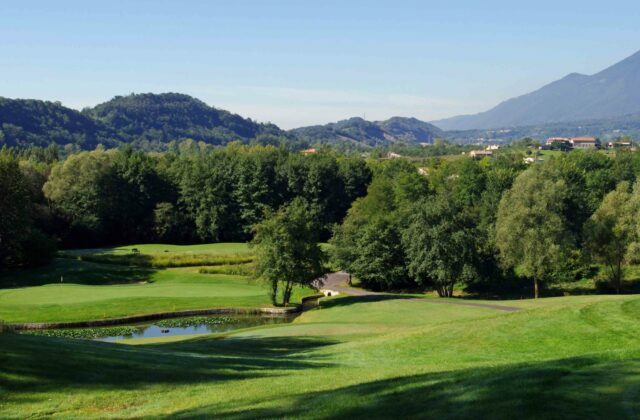 Italians love their competition and the Asolo Golf Course hosts more than 130 days of tournaments per year. The club also works with a number of golf professionals who bring their members here for an intensive week of golf training to hone their skills including daily clinics at the 50 bay driving range, chipping area and the two practice putting greens. Obviously the training is above par as the only Italian team to ever win the European Amateur Ladies Team Championship hails from here. I learned from Luca that “Asolo gets a lot of visitors throughout the year from Sweden, Austria and Germany since they are close enough to drive and that Northern Europeans love to play here when their courses are closed for the winter.” But, word is spreading rapidly and more and more golfers from the UK, Canada and the States are finding their way to Asolo. Indeed, I met two couples from England that had heard about the course from an American in Venice and they were absolutely delighted to discover a resort so nearby where they could play not one but three distinctly different courses while vacationing. Golf packages start at 270€ per person for 4 nights and 3 rounds of golf and breakfast. For more pricing click here! Circolo Del Golf Venezia also known as the Venice Golf Club is located about a 40 minute ferry ride from St. Mark’s Square, on a southern most tip of the Lido. This is the second oldest golf course in Italy and was originally built around an 18th Century Austrian fortification as a 9-hole course in 1930. After World War II the second 9 holes were added, offering a challenging par 72 where the sand and wind is reminiscent of a Scottish links style course. The Venice Golf Club has hosted a number of Italian Open and Italian Senior Open Championships and is considered to be one of the top 10 golf courses in Italy. Green fees range from 97-110€ for foreign visitors. 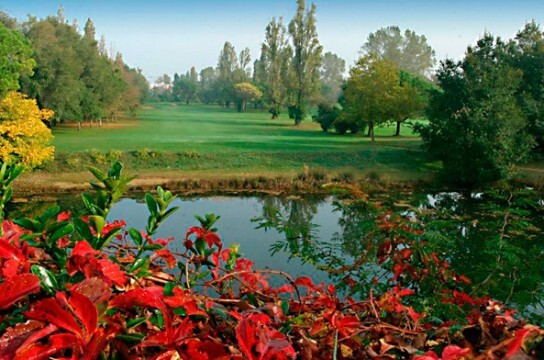 Golf Club Ca’Amata also known as the Castelfranco Golf Club is about a 30 minute drive from either Venice or Asolo. This 18 hole, 6218 yard par 71 sits amongst the Asolo hills on a 185 acre property that encircles the opulent and beautifully landscaped Villa Ca’Amata. 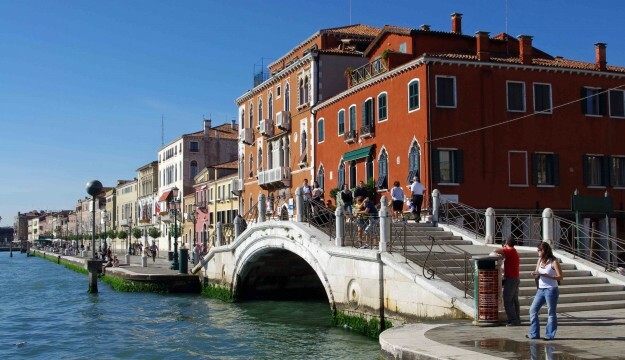 Built in 1711 it is a fine example of Venetian and Palladian Architecture. The south course was opened in 1990 and the north course was completed in 2010. Here you’ll find a great mixture of long and short holes, narrow tree-lined and wide generous fairways, small and large sloping greens with lakes and an intertwining canal system that comes into play on 11 of the 18 holes. Green fees range from 50 to 60€. Asiago Golf Club is only 33 kms from Asolo but it takes almost an hour and a half to reach it via the extremely windy but very scenic road that climbs the Altopiano Mountains to almost 3,500 feet above sea level. It may seem like a bit of a trek but once you feel the freshness of the air, see the lushness of the woods and experience the beautiful panoramic views from the peak of the mountain, you’ll be glad you made the drive. Originally opened in 1967, this rolling layout was redesigned and lengthened to 6631 yards in 1990. 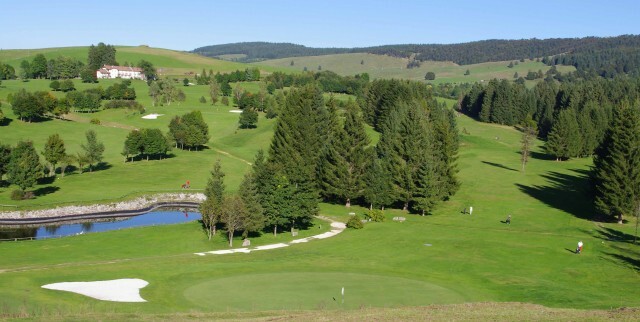 Green fees range from 50-80€ depending on the time of year. Beside the clubhouse is the 4-star Meltar Golf Resort with 22 rooms, 2 suites, 2 junior suites and a mini-apartment if you decide you’d like to linger and explore this delightful alpine village. 1. You must have a maximum of 36 handicap. 2. Almost all the tournaments take place on Saturdays and Sundays so I would highly recommend you plan to play during the week. Venice Italy should be a must-visit on everyone’s bucket list. Now you can explore the history, culture and the golf all at the same time. Thank you Dante for the ‘divine intervention’! Ciao for now but we will be back!